Available in a variety of colors to match any decor! 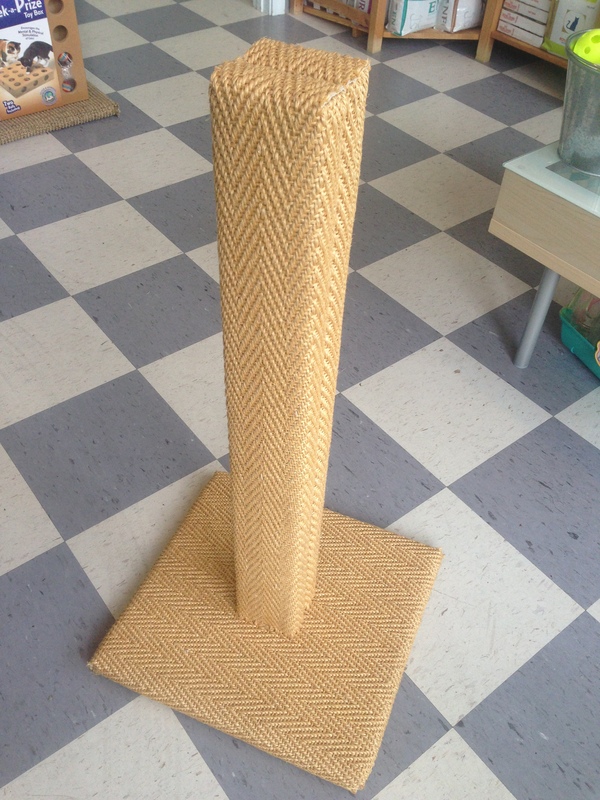 These posts are handcrafted and locally made by Fundamentally Feline and feature both a sisal post and a sisal base for the cat that prefers to scratch horizontally. 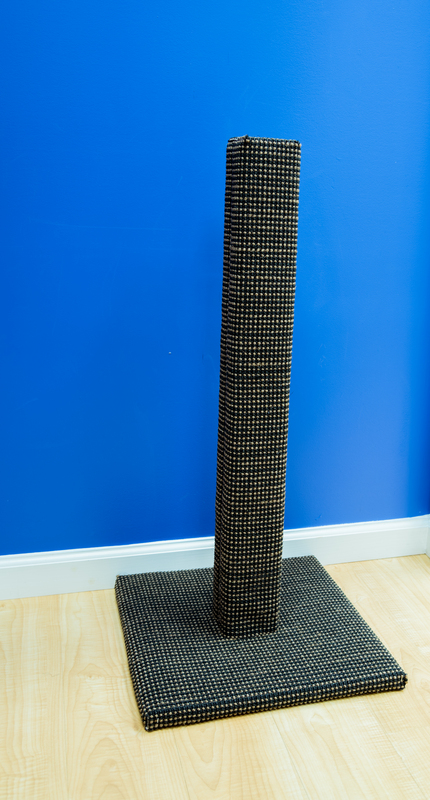 This post stands 32″ tall and is stable so your cats can really throw their weight into them and meet both horizontal and vertical scratching preferences simultaneously with a base that measures 18×18 inches. Made of real wood they are heavy and will not topple over. 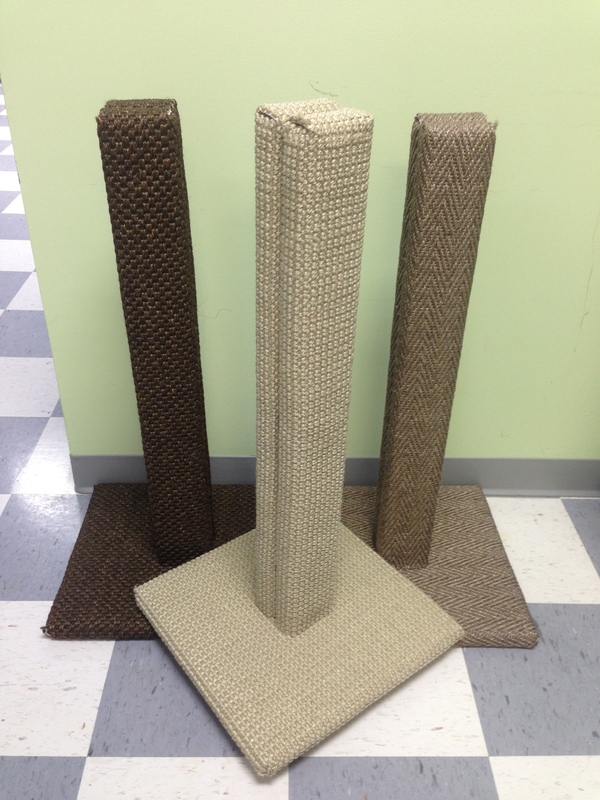 They are available in a variety of colors to match your decor, scratching posts should never be an eyesore! These display proudly in one’s living room. 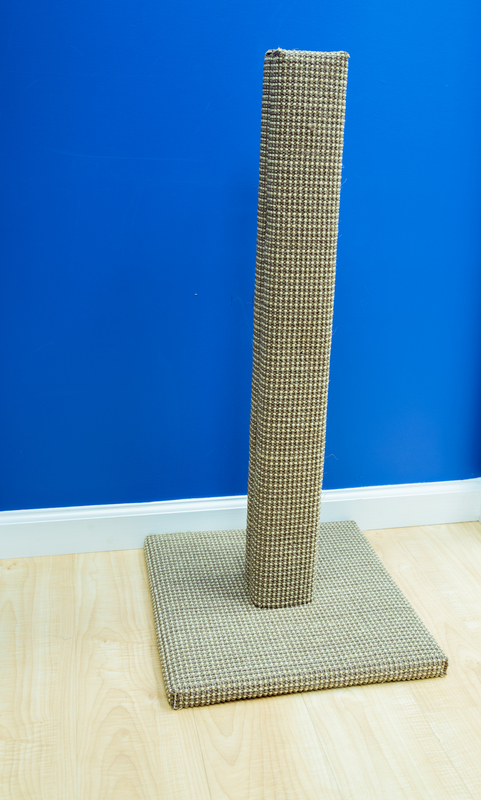 Scratching posts are best placed in high traffic areas where you and your cats pass through each day to achieve maximized use! 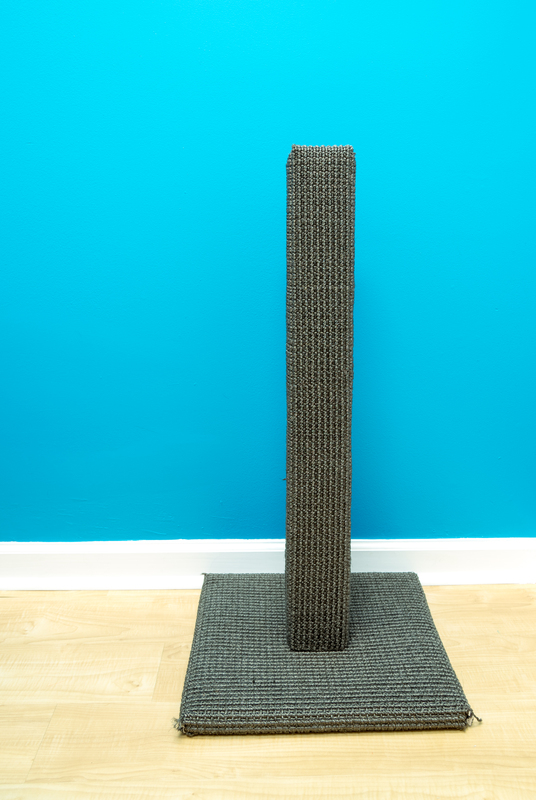 Think about where your cats scratch: sofas, armchairs, door frames, etc. They are telling you exactly where they feel the need to leave scent! Listen to them. Available in many great colors! 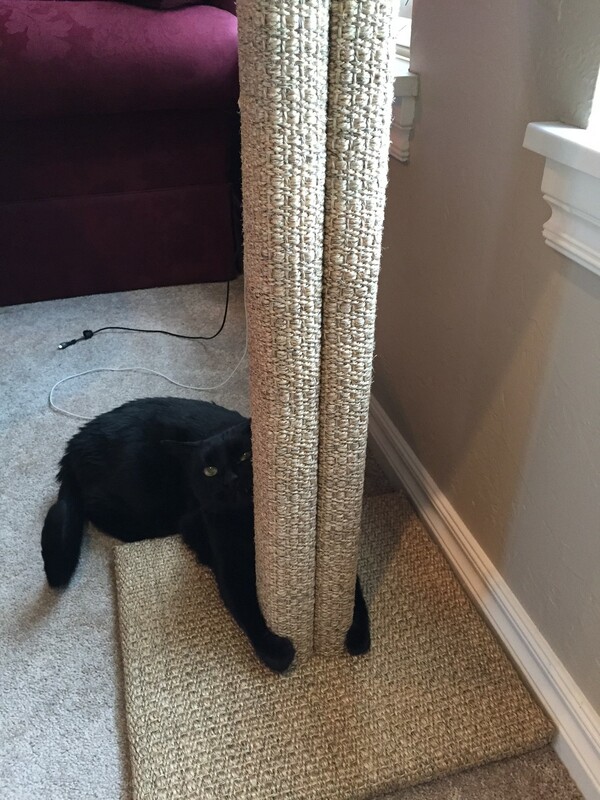 Rudy hugging and loving his new post! 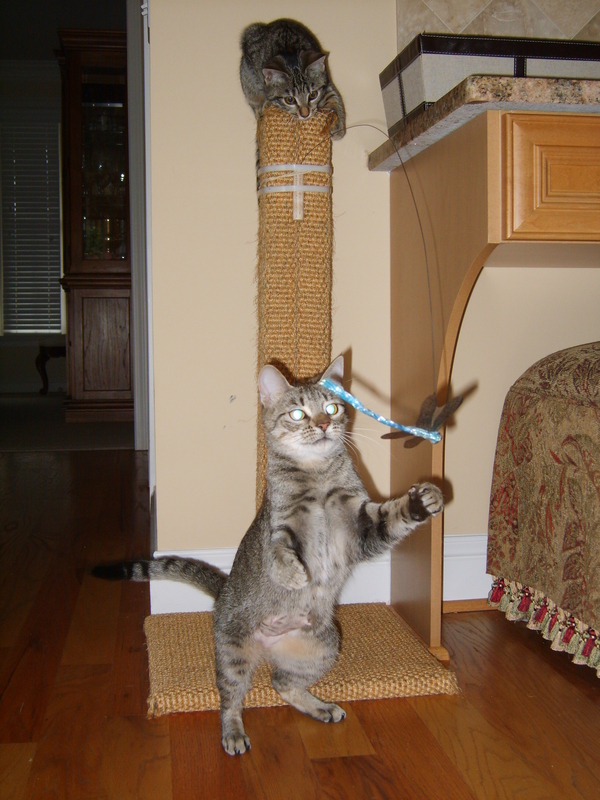 Maggie & Sunny with Dragonfly toy for added fun! 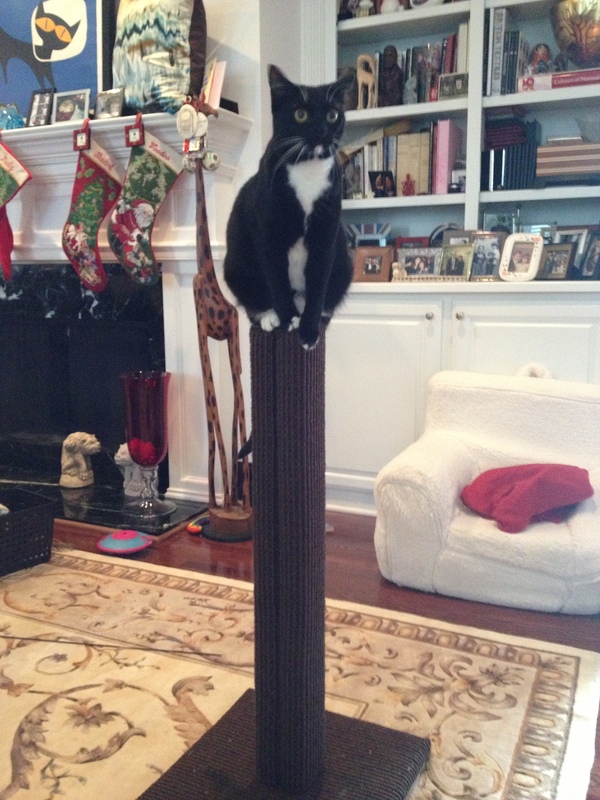 Voodoo requested that we add a perch on top. Granted!